Laboratory experiments show the methane detected on Enceladus by NASA’s Cassini spacecraft could be of biological origin. Some hardy Earth microbes could likely survive in the Saturn moon Enceladus' buried ocean, gobbling up hydrogen produced by interactions between seawater and rock, a new study suggests. And the microbes tested in the study churn out methane as a metabolic byproduct. That's intriguing, because NASA's Cassini spacecraft detected methane in the plume of particles blasted out into space by Enceladus' powerful south-pole geysers. "Hence, some of the methane detected on Enceladus could in principle be of biological origin," Rittmann told Space.com via email. The researchers — led by Ruth-Sophie Taubner, also of the University of Vienna — performed initial experiments on three species of methane-producing archaean microbes. Archaea are similar to bacteria in that they lack a nucleus or any other membrane-bound internal structures, but the former beasties represent an entirely separate lineage that may go all the way back to the dawn of life on Earth. This exploratory work identified one of the microbes, Methanothermococcus okinawensis, as the best suited for more in-depth study under Enceladus-like conditions. So the team exposed M. okinawensis to a variety of gas compositions and (relatively high) pressures at 150 degrees Fahrenheit (65 degrees Celsius) — basically, what you'd expect to find at hydrothermal vents on Enceladus' seafloor. Astronomers have inferred the existence of such vents on Enceladus from several Cassini observations. For example, the Saturn orbiter spotted tiny silica particles and molecular hydrogen (H2) in the moon's plume, both of which are best explained by reactions between hot water and rock. M. okinawensisgrew well and produced methane in the team's experiments, which perhaps isn't terribly surprising, given that the organism was isolated from a hydrothermal vent off the Japanese island of Okinawa at a depth of about 3,200 feet (975 meters). 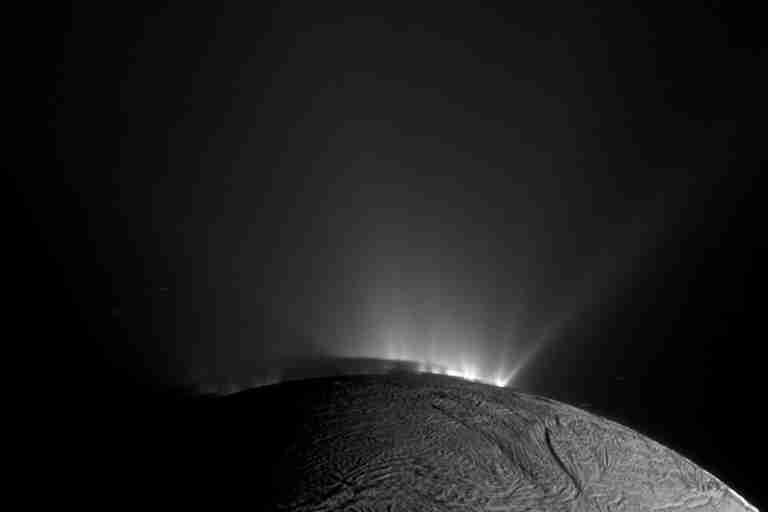 In addition, Taubner and her colleagues modeled the water-rock reactions likely occurring in Enceladus' interior. They found that such reactions are likely producing lots of H2 — enough to sustain methanogenic organisms such as M. okinawensis, if any exist on the Saturn satellite. To be clear, study team members aren't claiming that Enceladus' methane is biological; after all, the substance can be produced geologically as well (by reactions between rock and hot water, in fact). But the new results could help inform the search for life on ocean moons in the solar system, Rittmann said. "From an astronomical perspective, future missions to Enceladus or other icy moons should be equipped to be able to detect methanogenic biosignatures related to methanogens, like certain lipids or ratios of certain carbon isotopes," he said. 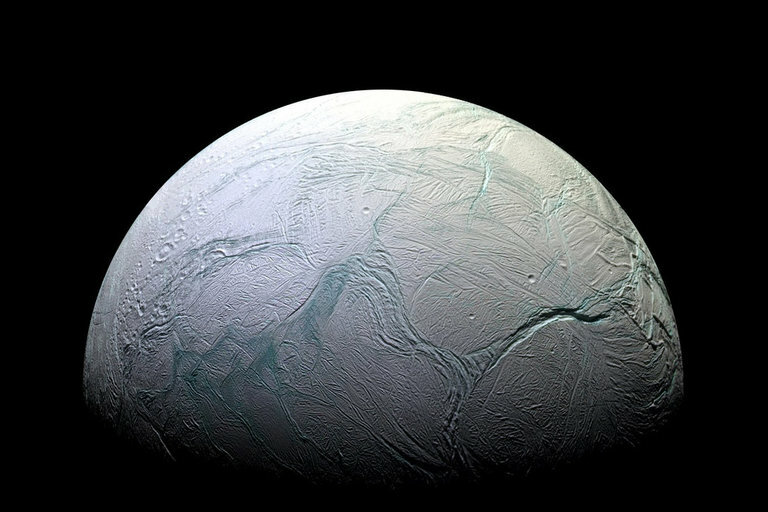 There are currently no Enceladus missions on the books of NASA or any other space agency. But both NASA and the European Space Agency (ESA) are developing missions to explore the icy ocean moons of Jupiter. NASA's entry, called Europa Clipper, will assess the habitability of the buried ocean on the Jovian satellite Europa over the course of dozens of flybys. ESA's mission, called Jupiter Icy Moons Explorer (JUICE), will also study Europa, though it will focus more on Ganymede and, to a lesser extent, Callisto. Europa Clipper and JUICE are both scheduled to launch in the 2020s. NASA is also working on a separate Europa lander mission, though that project remains a concept at the moment. The new study was published February 27 in the journal Nature Communications. Scientists have also spotted methane in the atmosphere of Mars, and they're not sure where the Red Planet's store of the stuff is coming from. But more information should be coming soon: The Trace Gas Orbiter, part of the European-Russian ExoMars exploration program, is scheduled to begin measuring and mapping Mars methane in mid-April.